President Moon Jae-in and North Korean leader Kim Jong-un enjoyed a convivial atmosphere during their third summit this year on Tuesday to Thursday, marked by hugs and the sense of a family gathering. They had lunch and dinner together on Wednesday. 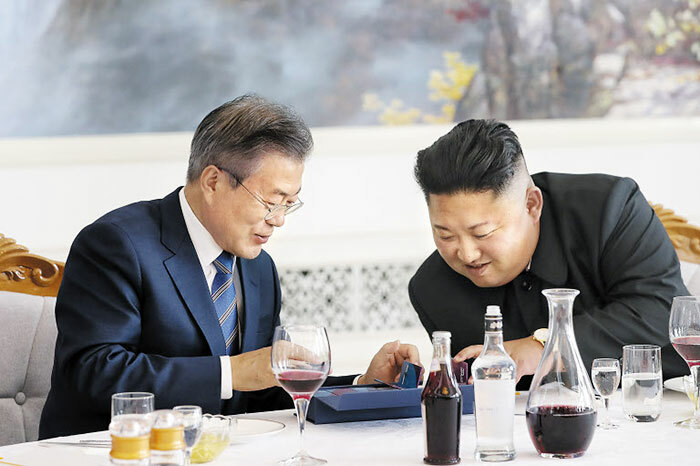 For lunch they ate the celebrated cold buckwheat noodles called naengmyeon from Pyongyang's famous Okryugwan restaurant, which they also enjoyed at their first meeting in Panmunjom on April 27. Kim's wife Ri Sol-ju said, "Pyongyang-style naengmyeon has become even more famous after the April summit." 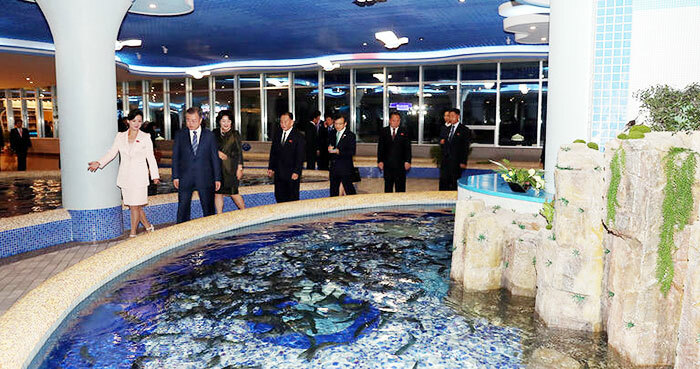 Dinner took place at a brand-new seafood restaurant on the Taedong River which opened at the end of July. 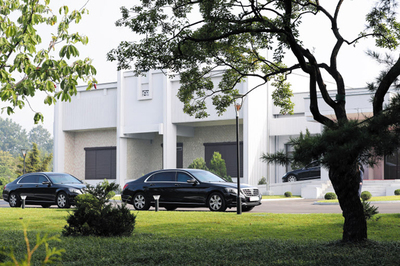 Moon had asked to go to a restaurant frequented by ordinary North Koreans and told his aides to organize a dinner for South Korean businesspeople who accompanied the delegation. Kim belatedly said he would like to come as well. Moon and his wife Kim Jung-sook arrived first at around 7 p.m., and Kim and Ri 20 minutes later. "Am I not taking too much time away from you today?" Moon quipped.